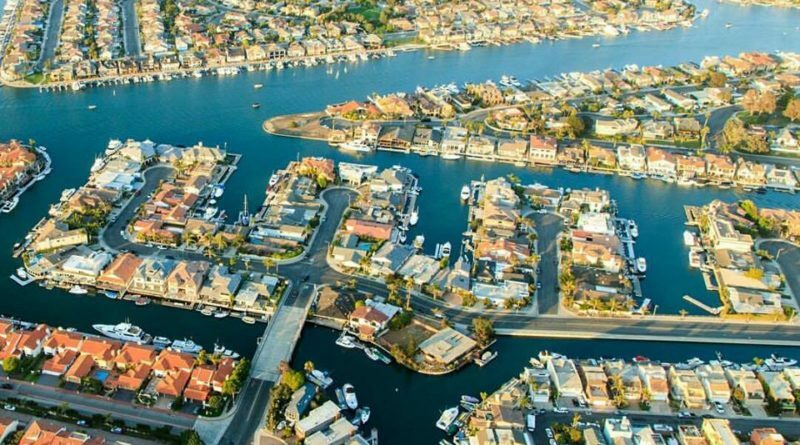 What’s the lowdown on Orange County’s lesser known Huntington Harbour? Huntington Harbour, just south of Seal Beach, forged a new harbor commission and offers a unique destination for boaters. HUNTINGTON HARBOUR — If there was a competition for least covered harbors in Southern California by The Log, Huntington Harbour might win. Of course, this is not meant to be an offensive remark as this reporter grew up and still resides in nearby Huntington Beach, and the area certainly has a storied history of embracing surfing, tiki and old-school beach culture. Huntington Harbour, nestled in between Huntington Beach (locals will tell you they are not quite the same, though why is somewhat of a mystery) and Seal Beach, has its own flavor that makes it a unique destination to visit. A relatively new harbor, construction began in 1963 and is made up of five manmade islands. One of the highlights of the area is the Bolsa Chica Wetlands just south, an ecological reserve that has somehow managed to remain relatively undeveloped and is home to some exquisite and protected wildlife. Unfortunately, the site where Huntington Harbour now stands was Sunset Bay Estuary, a historic wetlands reserve that was destroyed to develop homes. The area is marked by waterways that are convenient to boaters and are a 15-minute-trip to the open waters of the Pacific Ocean. Huntington Harbour Yacht Club (HHYC) is the resident association for yachters. According to huntingtonharbourmarina.com, the club has approximately 300 members and was first established in 1965. During the summer months, they are known to hold sailing lessons for disadvantaged youth. Several months ago, The Log covered a story about Seaboarder, the yacht that was rediscovered by the original owner’s grandson, Jim Kroeger, in Huntington Harbour’s marina. There is certainly an interest in wooden boats as the rear commodore of Classic Yacht Association, Janet Beggs, once told The Log that an old wooden boat in sorry condition was purchased by a fellow member who happened to not have a wooden boat of his own. The unusual part? The vessel went for a whopping $1. However, Beggs told the cautionary tale that the boat would need hefty repairs and other expenses. With how car enthusiasts enjoy their woody station wagons in Huntington Beach, it would make sense that the boating community would enjoy classic wooden boats as well. Agencies that offer feedback on harbor activities, most commonly known as harbor commissions, have grown into important authorities on all-things seaside related. On Nov. 19, Huntington Beach City Council voted unanimously to create a harbor commission to oversee, plan and maintain harbor-related activities at a local level. With so many ocean-related agendas on the West Coast to worry about, such as sea level rise and dredging, harbor commissions play a vital role. Sen. Janet Nguyen proposed Senate Bill 1299 (SB 1299) on Feb. 16, kickstarting the idea of forming a harbor commission in Huntington Harbour. Ordinance 4175 amended Chapter 2.65 of the Huntington Beach Municipal Code to add the new harbor commission. The structure will include seven members with two being City Council liaisons. The council members voted to serve on the harbor commission will select the five other members. According to the ordinance, the meetings will be held at 5 p.m. every fourth Thursday of the month at City Hall unless it falls on a holiday; in that instance, the following Wednesday will be the designated day. Those serving on the harbor commission will be volunteers and will not receive payment for their post. The term is limited and no person will be able to serve more than two consecutive four-year terms. Elections will be held in July. Harbor commissions gather information concerning beaches, facilities and public waterways, however, they are an advisory agency that do not enact or change codes, which still remains the city council’s responsibility. The first meeting will likely be held early next year. With the transparency of Huntington Harbour’s new harbor commission, harbor agenda procedures may come to the fore and could see Huntington Harbour coming into the spotlight through its advisory motions.